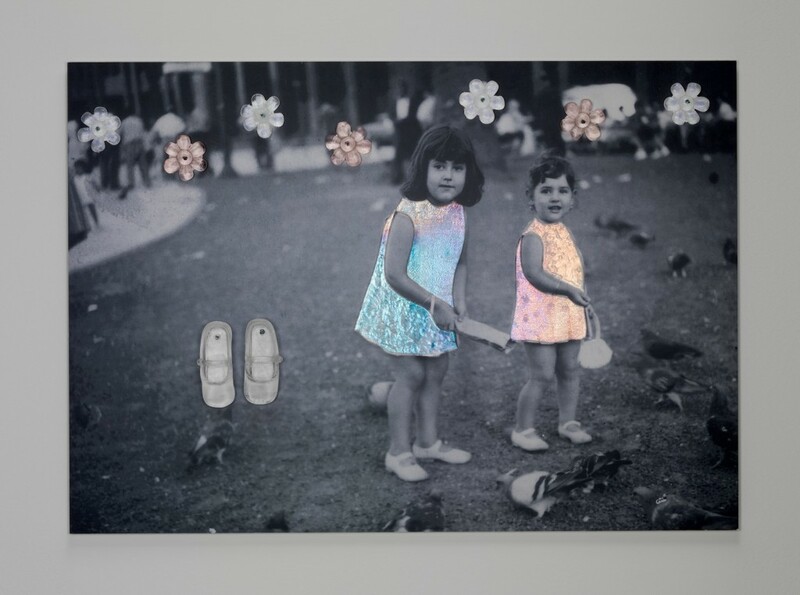 When Silvia Levenson was a child, her mother bought her one pair of shoes each year. Once, one of the nails in her sole came loose. She remembers trying to hammer it back in, but when she did, it came up through the top. She now sees the incident as a metaphor for life. “I have to walk, even if sometimes I feel a little pain,” she says. Born in Buenos Aires, Argentina, in 1957, Levenson grew up quickly. By age 14 she was an activist protesting on behalf of the poor. At 16, she married, and at 19 she became a mother. Peace was a moving target for her young family. When the military took control of the government from 1976 to 1984, 30,000 Argentinean citizens disappeared and were later killed for their suspected revolutionary ties, including one of Levenson’s cousins and an aunt. At 23, she immigrated with her husband and children to Italy for the sake of survival. It’s Raining Knives, Silvia Levenson, Vigevano, Italy, 2004. 19th Rakow Commission. 2004.3.29. Levenson learned to communicate her life experiences and thoughts through art. She studied at Martin Garcia School of Graphic Design in Buenos Aires. In 1987 she discovered glass and later kiln forming. 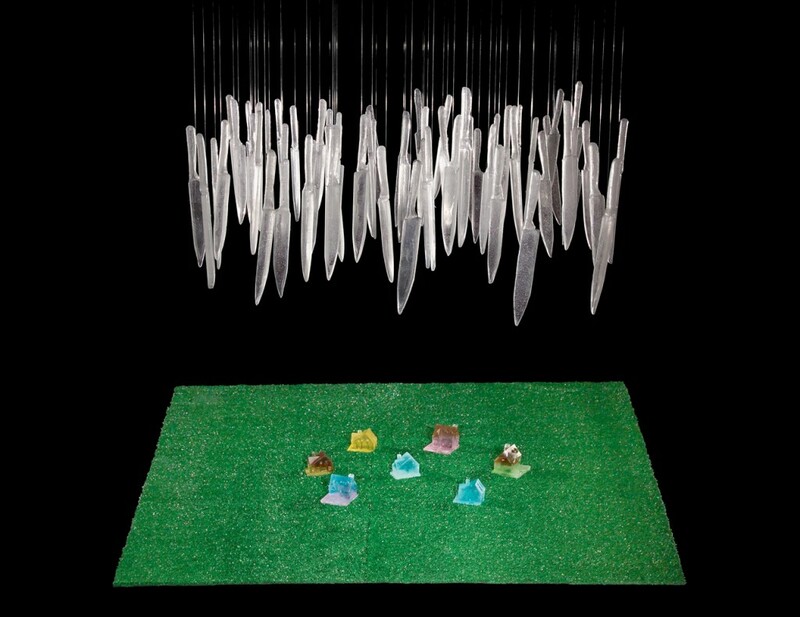 In 2004, Levenson received the Rakow Commission Award for her work It’s Raining Knives. In 2008, she was a shortlisted nominee for the Bombay Sapphire Prize. Her work has been exhibited around the world and is a part of the collections of The Corning Museum of Glass; New Mexico Museum of Art, Santa Fè; Fine Art Museum of Houston; Museo Rigaulleau, Argentina; and Musee Atelier de Verre de Sars Poteries, France. Today, she uses glass as a means to communicate her ideas about and experiences with domesticity, travel, and exile. Hear more from Sylvia about her work and teaching glass casting at The Studio of The Corning Museum of Glass in this Instructor Highlight video and see more of Levenson’s work. Plaza de Mayo, Silvia Levenson, Vigevano, Italy, 2001. 2012.3.46. 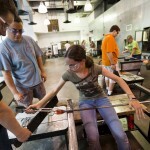 The Studio of The Corning Museum of Glass is an internationally renowned facility that offers glassmaking classes for a variety of skill levels and techniques, as well as artist residencies, rentals, and a variety of other programs. The Studio is one of the best glassmaking schools in the world. When you take a class here you’ll receive great instruction by top glassmakers, you’ll be able explore the Museum’s glass collection to inspire your work, and you’ll have access to the Museum’s unparalleled collection at the Rakow Research Library. You also become part of the supportive community of artists and students who work with glass in Corning. Learn more.